The multi-grain bread was made by me and cooked on the grill. The sourdough culture I use is nearly 2 years old and came to me from a friend. I made the goat cheese from milk from local goats. I could find out the names of the goats if I wanted. I buy the milk from our organic farmers market who bring it in fresh. Low-temp pasteurized, yeah buddy! The tomato is from a farm just down the road whose family has been growing vegetables and operating a working farm on the land since 1775. 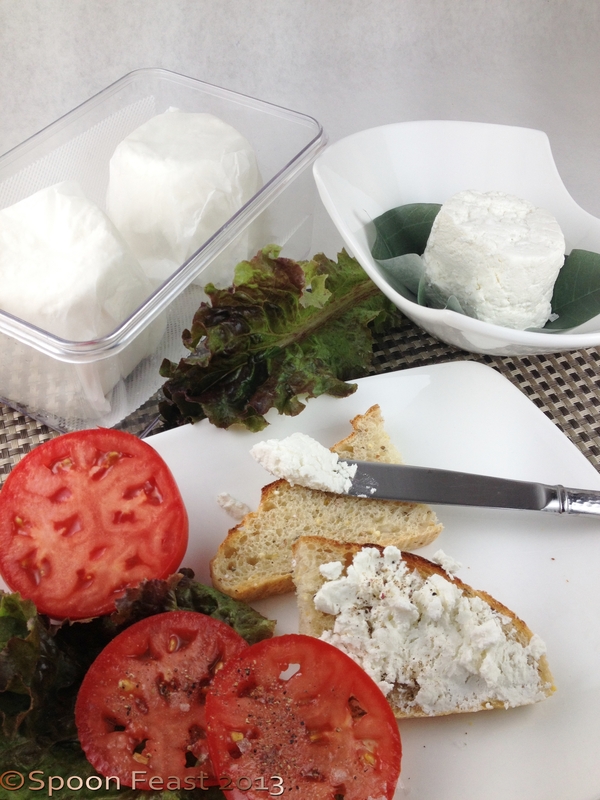 These tomatoes are the first to ripen with any flavor, just perfect for the goat cheese! So there you have it. Local food for lunch. This entry was posted in Cooking Thoughts, Making a difference, Recipes, The Life of a Chef, What every good cook should know and tagged Cheese, food, Goat, Goat cheese, Local food, Milk, Shopping, Sourdough. Bookmark the permalink. Thank you! Great post – right up my street.